From the comfort of your basket vantage point 180 meters of super yellow balloon above the ancient complex, your bird's eye view will be in indelible memory, a unique opportunity to see the scope and complexity of one of the world's most powerful civilizations. Exciting with the view of Phnom Bakheng and Baray from the Angkor Balloon and see how the rising sun reveals the Angkor Wat domes or wonder at the multicolored sunset turning it in to a mystical, magical silhouette in the jungle. Angkor Balloon is 1km from the Western entrance to the Angkor Wat Temples and 10 minutes drive from Sokha Angkor Resort. Cambodia has many forested areas and some of the most prolific wetland areas in Southeast Asia, where one can go to watch these and several endangered species of birds. Prek Toal, one of the biggest bird sanctuaries in the region, is where the Milky Storks, Painted Storks, Asian Open Bills, Lesser Adjutants, Greater Adjutants, Spot-billed Pelicans, Black-head Ibis, Glossy Ibis, Grey-head Fish-Eagle, Masked Fin-foot, (just to name a few) make their nests. Prek Toal is around two hours from Siem Reap by direct boat. Boat tour on the Tonle Sap lake is one of a must see for tourists visiting Siem Reap. You can spend a half day tour at flooding village Chong Khneas or the flooded forest at Kompong Plouk. 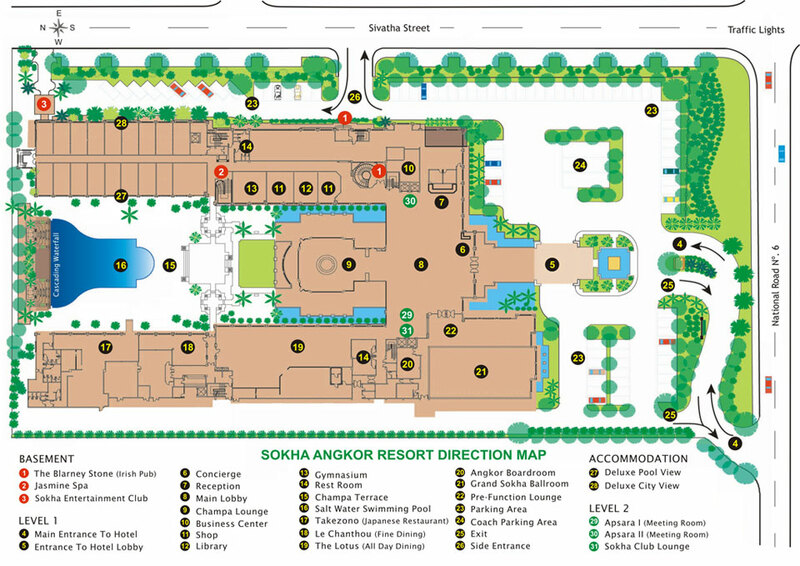 The lake is only 15 km from Sokha Angkor Resort. Cycling around Angkor is the wonderful way to explore the temple complex and the surrounding countryside. There is one temple in almost every 2Km, so you will not be boring and it is worth to stop and take photo. One of the nice things about travelling by bicycle is that you are guaranteed a warm reception wherever you go; Khmer people are always willing to chat. Angkor Wat Area cycling is around 30 km which you can spend half day or extended to one day bike depend on your desire. Explore the secrets of authentic Khmer cuisine in 3-hour cooking class at the side of your temples or other attraction areas visit. Learning to cook Khmer food is a great way to introduce your Cambodia experience to your family and friends. You can take an elephant ride from the south gate of Bayon to the Bayon temple. It is more fun and enjoy to do it in the early of the morning. You can also take an elephant ride while you are at Bakheng Mountain from around 4pm to 6pm. Learn how to fish Cambodian style, this is a great way to have a bit fun and to mix with the locals. Most fish caught are small so do not expect any game fishing here. After fishing you will probably be invited to eat with the family and you will most likely get a chance to drink the local Cambodian wine! Cambodia's first PGA standard championship golf course, Angkor Golf Course, is just a short drive from the international airport and only 10 minutes away from Sokha Angkor Resort. The 600-plus-yard, par-5 third hole is a highlight of play at Angkor. Shopping is perhaps the other best thing to devote time to besides sightseeing. Cambodian fine silk pieces and textile materials are world renown while carvings, silverwork and paintings are also the special souvenirs to bring home. Apsara Dancing is one of the biggest attractions for visitors to Siem Reap after the Angkor temples and it is on most visitors list of things to do. Join our gala dinner package and amazed yourself with the performance. Apsara Dancing is definitely worth seeing and it is a nice evening out in Siem Reap.